Published in Industry Updates on 09/18/2017 by Harry Lew, Chief Content Writer. The latest Morningstar funds-flow data provide an interesting perspective on where the market winds are blowing. According to its July 2017 report, consumers invested $10.8 billion into U.S. equity passive funds, up from $9.3 billion the prior month. On the active fund front, investors withdrew $19.6 billion out of U.S. equity funds, compared with $14.6 billion in the prior month. Morningstar estimates net flow for mutual funds by computing the change in assets not explained by the performance of the fund. For ETFs, it computes the change in shares outstanding. Taxable-bond and international-equity funds captured $34.7 billion and $23.0 billion, respectively, most coming from passive funds. The latter increase may have been due to the International Monetary Fund in July reducing its growth forecast for U.S. gross domestic product (GDP) to 2.1 percent in 2017, from 2.3 percent. It also raised Europe’s anticipated growth rate from 1.7 percent to 1.9 percent. Revised investor expectations sparked a flow of funds away from U.S. domestic equities and into international-equity funds. In a so-called “pattern reversal,” Morningstar pointed to outflows from passive funds and inflows to active funds for both alternative and commodities funds. The Morningstar categories with the largest July inflows were consistent with the prior month’s data: foreign large blend, intermediate-term bonds, large blend, and diversified emerging markets. The latter were expected to show stronger growth potential after data appeared highlight the MSCI Emerging Markets Index returning 25.5 percent to date. The funds-flow winners for U.S. fund families were PIMCO, with active flows of $2.5 billion and Vanguard with $1.5 billion. In terms of passive investing, Vanguard took the prize with inflows of $20.1 billion, followed by BlackRock/iShares, which had inflows of $14.5 billion. The top active funds were PIMCO Income ($2.7 billion) and Oakmark International ($1.2 billion). 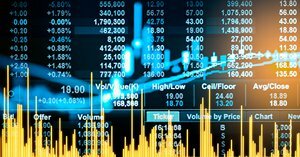 The top passive funds were Vanguard Total Stock Market Index and iShares Core S&P 500, with inflows of $4.6 billion and $4.1 billion respectively. Fidelity’s Contrafund experienced the highest outflows for active funds at $1.4 billion, while for passive funds, the Vanguard Institutional Index Fund shows negative flow of $4.0 billion. To download Morningstar’s Fund Flow Commentary, go here.